Inhibitor of PPP1CA. Has over 1000-fold higher inhibitory activity when phosphorylated, creating a molecular switch for regulating the phosphorylation status of PPP1CA substrates and smooth muscle contraction. 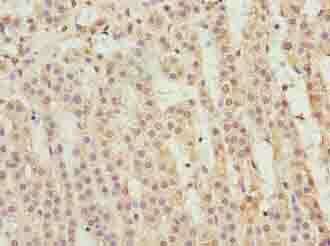 PPP1R14A Polyclonal Antibody. Unconjugated. Raised in: Rabbit.